Team Alena is gearing up for this year's Autism walk. We'd like to invite you to join our team and/or make a donation to support us in raising money for the Autism Society of Greater Akron. 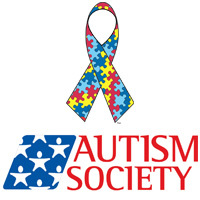 Last year the Autism Society of Greater Akron was able to implement a program, swimming with autism. All of your generous donations helped make this program possible. Alena made wonderful progress in her swimming abilities with this program. Autistic persons are often drawn to water. Learning how to swim can make a difference in life or death. Team Alena is very thankful & blessed for your past support. We look forward to your support again this year.